Assistant Police Chief Clay Godwin has more than 25 years of experience in law enforcement at the Mobile Police Department with nine years at the executive rank of captain. 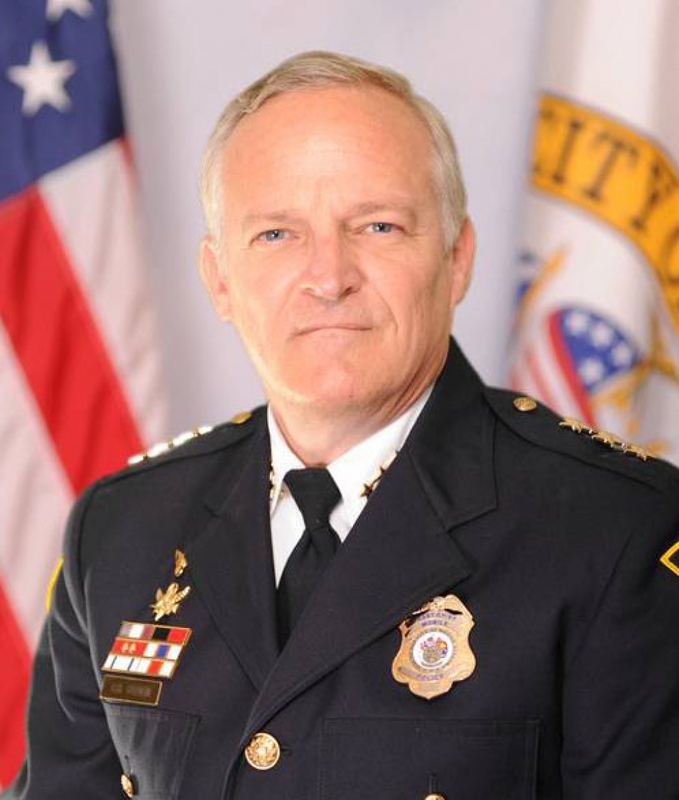 He has commanded the Administrative Services Section to include Budgeting, the Planning and Research Unit, Purchasing Unit, Inspection Unit, Grant Detail and the Commission on Accreditation for Law Enforcement (CALEA) Detail as well as policy and procedure compliance. When he served as captain of the Administrative Services Section, Godwin implemented the Tyler Public Safety module for a paperless reporting and records management system. To advance safety technology, he obtained the contract for all uniformed personnel to be equipped with the Taser body camera system. He also supervised the management of 25 federal grant programs for a funding source of over $7 million. In 2016, Godwin helped design and submit an approved pay raise proposal giving all sworn officers a 20 percent pay adjustment. From 2008 to 2013, he served as a captain in the Field Operations Division and Criminal Investigation Section. He has chaired the department’s Shooting Review Board and the Awards Committee. Assistant Police Chief Godwin earned his master’s degree in Criminal Justice and bachelor’s degree in Human Resource Management at Faulkner University. He also has a Bachelor of Science degree in chemistry from Auburn University. Among many honors and awards over the years, Assistant Police Chief Godwin received the Unit Citation for Valorous Action Award from the National Tactical Officers Association.